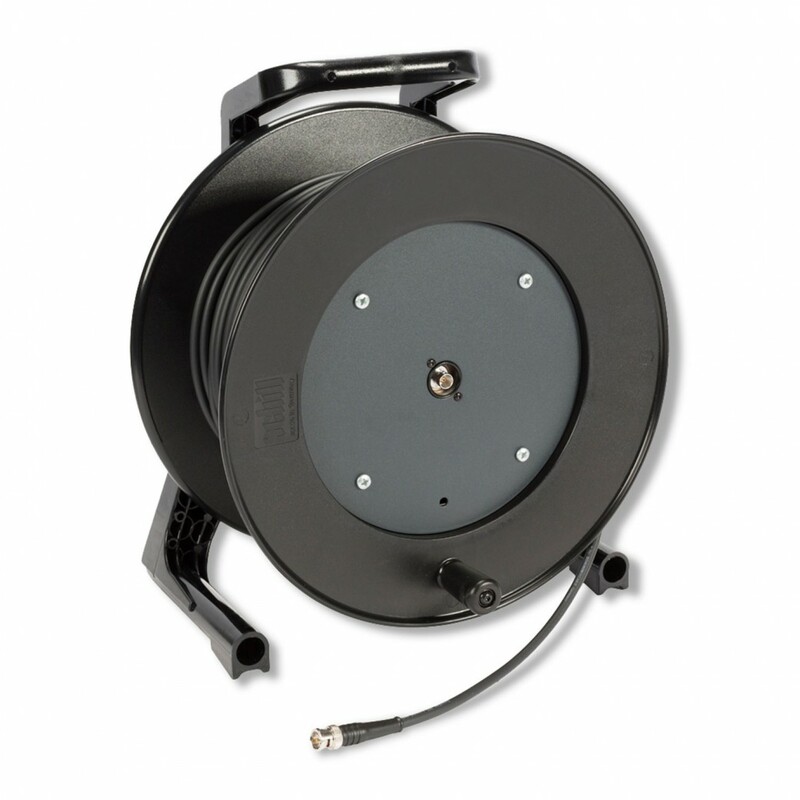 We deliver a light-weight and very robust SCHILL cable reel which has a fixing brake and a practical carrying handle. It is equipped with our flexible SC-Focusline MS Highflex video cable which is suitable for outdoor transmission and, because of its 100 % shielding, (Cu mesh screen + conductive AL/fleece) perfect for long distances with a very good image transmission. For HDSDI and 3G-SDI transmissions or extremely long transmission paths we recommend the reels loaded with the SC-Vector PLUS 1.2/4.8 DZ HD-SDI or SC-Vector PLUS 1.6L/7.3 3G-SDI cable types. The reel is fitted with a front panel and an insulated BNC-Crimp mounting sleeve.